Just a quick post letting you know you can now directly “Like” our stories on Facebook! At the end of every article, there is now a “Like” button. For those who use twitter, you’ll find a similar button. In addition, we updated the Reddit button functionality and StumbleUpon’s submission button. A little over two weeks ago, we here at Continue?, introduced you to a very skilled musician named Freddie25 (you can see that article here). This week, we Continue? our series of awesome videos with another incredibly skilled musician named HIKAKIN. HIKAKIN is a 21-year-old beatboxer, from Japan. On August 21st, he posted a video on his YouTube channel of him beatboxing a song from Street Fighter 2. 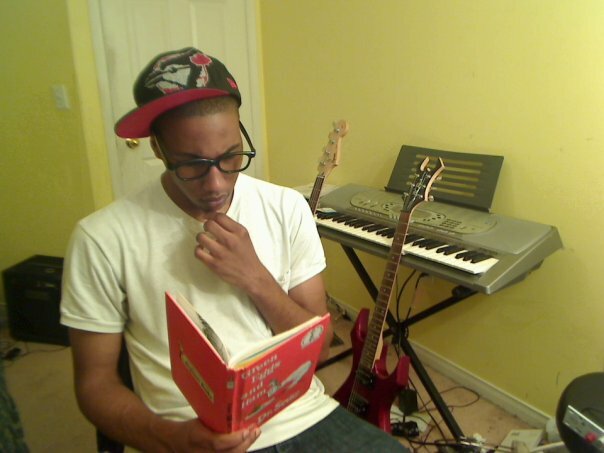 Hey guys, our artist for today is none other than remixer and rap artist Levar Allen. His newest video is what caught my eye, which is his awesome Super Mario Rap Remix. Last week, I spoke about a great violinist named Ben Chan. Who, in between playing professionally and teaching, finds time to create YouTube videos of himself playing different video game music. If you think back to that article (click here to read it), the last video I showed was a collaboration of three different artists: Lypurr, BenChan, and a guy named docjazz4, well this week, it is docjazz4’s turn to be in the limelight! Let us all travel back to the year 1998, back when Billy C was getting inappropriate in the oval office, Google was founded, boys all across America learned to BE A MAN with the help of Mulan, and two video games systems where on the list of every child. One was the first succesful CD based home video game system, the Play Station, the other, the first succesful 64-bit system, with its crazy baterang like controller, the N-64. That year, Nintendo released what many consider to be one of, if not the, best game ever. That game introduced children to a bizarre little instrument, the ocarina. The ocarina is one of the oldest instruments in existence and it is also one of the easiest instruments to play. In ’99, a young boy named Dave purchased an ocarina and began learning how to play. Fast forward to August of 2006, Dave joins YouTube under the name docjazz4, and in December of that year, he releases his first video, seen here. That is docjazz4 and he is playing the Song of Time from that fateful game. Since then, docjazz4 or should I say Dave, has released over 100 videos and has played songs from Zelda to Halo. In addition to his large collection of videos, Dave owns around 20 ocarinas, ranging from simple 4-holed pendants to 4 chambered ocarinas (a multi chambered Ocarina allows for a wider range of notes to be played). Since Dave began posting videos, he has become quite the hit on YouTube, having over 25,000 subscribers! Hey everyone welcome to Continue?’s Featured Artist, a new monthly article that will be written by those of us at Continue (mostly Andrew), about different artists (Music, video, drawing, etc. ), who are either fans or professionals of the video game industry (mostly fans). This week, Andrew is getting things started with one of his favorite YouTube musicians.